A payment gateway is a merchant service provided by an e-commerce application service provider that authorizes credit card or direct payments processing for e-businesses, online retailers, bricks and clicks, or traditional brick and mortar. The payment gateway may be provided by a bank to its customers, but can be provided by a specialized financial service provider as a separate service. Payment Gateways are software and servers that transmit Transaction information to Acquiring Banks and responses from Issuing Banks (such as whether a transaction is approved or declined). Essentially, Payment Gateways facilitate communication within banks. Security is an integral component of all payment gateways, as sensitive data such as Credit Card Numbers need to be protected from any fraudulent parties. The card associations have created a set of rules and security standards which must be followed by anyone with access to card information including gateways. This set of rules and security standards is called the Payment Card Industry Data Security Standard. A service which automates payment transaction between the shopper and merchant. It is usually a third-party service that is actually a system of computer processes that process, verify, and accept or decline credit card transactions on behalf of the merchant through secure Internet connections. The payment gateway is the infrastructure that allows a merchant to accept credit card and other forms of electronic payment. When referring to payment gateways used for Internet transactions, it may also be called an IP payment gateway. A payment gateway is your doorway to making sales online. A Payment gateway will allow you to charge your customer's credit/debit card with the purchase he/she makes online. Just like a physical point of sales terminal at your bricks and mortar retail store, the Payment Gateway authorizes you to take card payments directly from your website. The payment gateway acts as a mediator between the transactions that take place on your website and the payment processor. This is needed because it is prohibited, due to security reasons, to transmit transaction information directly from your website to a payment processor. Most online merchant accounts come with a payment gateway included, like PayPal. A payment gateway is a service that sends credit card transactions to the credit card payment networks for processing. When you accept credit cards through payment gateway checkout, that checkout will submit your transaction to the credit card payment networks. Add PayPal to your web checkout so your customers can pay from any device. Add paypal-by-braintree to your web checkout so your customers can pay from any device. Add authorize.net-atm to your web checkout so your customers can pay from any device. Add stripe to your web checkout so your customers can pay from any device. Add amazon-payments to your web checkout so your customers can pay from any device. Add cyber-source to your web checkout so your customers can pay from any device. Add payplug to your web checkout so your customers can pay from any device. Add authipay to your web checkout so your customers can pay from any device. Add sofort-uberweisung to your web checkout so your customers can pay from any device. Add cardstream to your web checkout so your customers can pay from any device. Add dibs to your web checkout so your customers can pay from any device. Add worldpay to your web checkout so your customers can pay from any device. Add first-data to your web checkout so your customers can pay from any device. Add total-web-solutions to your web checkout so your customers can pay from any device. Add go-cardless to your web checkout so your customers can pay from any device. Add google-wallet to your web checkout so your customers can pay from any device. Add mijireh-checkout to your web checkout so your customers can pay from any device. Add eway-shared-payment to your web checkout so your customers can pay from any device. Add authorize.net-cyber-solution to your web checkout so your customers can pay from any device. Add authorize.net-dpm to your web checkout so your customers can pay from any device. Add klarna to your web checkout so your customers can pay from any device. Add Payjunction to your web checkout so your customers can pay from any device. 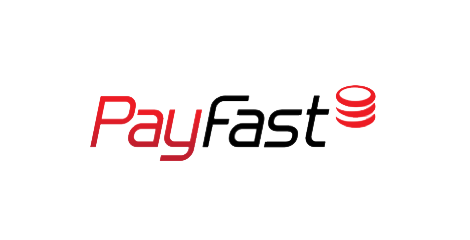 Add Payfast to your web checkout so your customers can pay from any device. Add eway to your web checkout so your customers can pay from any device. Add payment-express to your web checkout so your customers can pay from any device. Add Paymill to your web checkout so your customers can pay from any device. Add PayPal-Advanced to your web checkout so your customers can pay from any device. Add PayPal-pro to your web checkout so your customers can pay from any device. Add Paypoint to your web checkout so your customers can pay from any device. Add realex-payments to your web checkout so your customers can pay from any device. Add sage-pay to your web checkout so your customers can pay from any device. Add 2co-checkout to your web checkout so your customers can pay from any device. Add nochex to your web checkout so your customers can pay from any device. Add first-data-merchant-solution to your web checkout so your customers can pay from any device.